Asthma – What is it? Allergic asthma is commonly caused by inhaling fumes, smoke, dust, pollen, molds, and dust mites. Approximately 50 percent of adults and 90 percent of children have allergies and asthma. Other things affect asthma, such as exercise and cold air. If you have asthma, you should use your inhaler before exercise, and then listen to your body. If you begin to feel your chest tightening, or you can hear yourself wheeze, you need to stop exercising. If you live in a cold climate, you should wear a scarf around your mouth and nose to help warm the air before it hits your lungs. If you are outside, you should not breathe through your mouth, because this will likely bring on an asthma attack. It is not uncommon to start coughing as soon as cold air hits your bronchial tubes and lungs. The bronchioles often go into bronchospasms when cold air hits them. No one really knows what causes asthma, but for much of the population, allergies play a big role. The immune system protects the body by attacking bacteria and viruses to keep the body healthy. The Immunoglobulin E (Ig E) part of the immune system overreacts and mistakes harmless substances, like pollen, dog dander, and cat dander as harmful invaders. The immune system can’t tell cat dander apart from disease causing bacteria and viruses. The Ig E part of the immune system triggers other parts of the immune system to release histamine. Histamine tries to get rid of the invaders, and block new ones from coming into the body by causing an allergic response; this is why you get the runny nose or stuffy nose, watery eyes, coughing, wheezing and chest tightening. The wheezing and chest tightening is caused by bronchospasms. A mask won’t help you prevent allergy and asthma symptoms, because the particles can be inhaled right through the mask. If you have allergic asthma, you could have an allergy to pollen blown by the wind from weeds, grasses and trees. You could be sensitive to mold spores in the air. You could also have an allergy to animal dander and their saliva. If you have birds, you could be allergic to their feathers. Other causes of asthma could be the excrement from cockroaches and dust mites. The feces from roaches and mites can float in the air and be inhaled into the bronchial tubes, where they cause an immediate allergic asthma response. Don’t be fooled into thinking that only pollen, pet dander and dust mites are the only causes of allergy asthma. Air pollution is often a cause of allergic asthma in the urban areas. Tobacco smoke is another common culprit. You don’t have to be near a person smoking to get asthma symptoms. A person could smoke outside and come back in; an invisible cloud of smoke stays on their clothes and on their person. You can’t see it, but you can smell it and feel it in your chest. Perfumes and air fresheners are another cause of asthma and allergy symptoms. You can be tested and treated for your allergies. Your doctor can send you to an immunologist to take desensitizing treatments. You take shots over a period of time, and after a few months you notice that you don’t react as violently to the allergens. Some people are cured of their allergies and asthma by taking immunotherapy treatments. Your doctor will diagnose and treat you for your symptoms. There is no need for you to suffer in silence; consult with your doctor about your allergy and asthma symptoms as soon as possible. Prevention long-term control over asthma attacks is the main goal of asthma treatment. Treatment starts with determining triggers that cause asthma attacks. Your doctor will recommend you to avoid these triggers. In addition, you will be assigned permanent medications and means for immediate attack relief, which you will need to always carry with you. The choice of drugs for you depends on many things, including your age, asthma symptoms, triggers, concomitant diseases, etc. Preventive long-acting means reduce airway inflammation and prevent attacks. 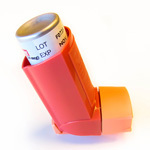 Fast-acting inhalers (bronchodilators) can quickly open airways and stop attack. In some cases, doctors prescribe also anti-allergic medications. Flovent is an artificially obtained steroid, which refers to hormones of natural origin, cortisol or hydrocortisol, that are produced by adrenal glands. When this drug is used as inhaler, inflammation processes at people with asthma are slowed down, thus reducing wheezing and difficulties with breathing. The drug has a pronounced anti-inflammatory and antipruritic effect and is included in the list of essential drugs. 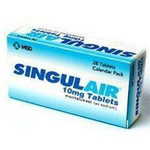 Singulair is one of the best-known drug with active substance – montelukast. This means us capable of binding with special substances and inhibiting bronchoconstriction process that occurs at people suffering from asthma. Instructions says that it is able to inhibit bronchospasm at any stage. Besides this effect occurs even when administrating low-doses of this means. After receiving the drug, process of bronchial lumen expansion begins. Seretide has a combined structure and has different effects on patient’s body. Salmeterol eliminates bronchospasm symptoms; fluticasone improves respiratory function and prevents acute disease forms. In most cases aerosol is used at suffocation attacks. Symptoms depend on individual characteristics of organism and disease severity. Therefore patient always has to have Seretide at hand. Serevent is a highly selective long-acting beta2-adrenergic receptors agonist, in therapeutic doses has no effect on heart beta-adrenergic receptors. Salmeterol causes long-lasting (longer than 12 hours) bronchodilation at patients with airway obstruction due to bronchospasm and bronchial mucosa inflammation. The drug is intended for regular use, which allows to achieve pronounced improvement in respiratory function, relieve bronchial obstruction symptoms and asthma attacks, occurring at night. theophylline (Theotard, Theo-24, Elixophyllin).This is an oral preparation for daily administration, which helps to expand bronchial tubes by relaxing airways smooth muscles. Now it is not used as widely as in previous years. Atrovent belongs to muscarinic receptor blockers and is intended to suppress bronchial smooth muscles spasms. The drug should be strictly prescribed by doctor. Atrovent main active ingredient is ipratropium bromide. Solution for inhalation is a transparent, or almost transparent, colorless liquid, free from particles. The drug improves external respiratory function at people with bronchospasm. The drug effectively relieves bronchial constriction and inhibits smooth muscles reflex spasms. Combivent is combined preparation with marked bronchodilatory effect caused by ipratropium bromide and salbutamol components action. Ipratropium bromide blocks smooth muscle muscarinic receptors of tracheobronchial tree, inhibits bronchoconstriction reflex, reduces respiratory tract mucosa glands secretion. 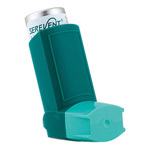 Salbutamol affects lungs smooth muscles, relaxing and preventing bronchospasm. It reduces airways resistance, increasing vital lung capacity. The drug prevents release of histamine, leukotrienes, PgD2 and other biologically active substances from mast cells. Ventolin is an anti-asthmatic drug used in treatment and prevention of various bronchial and respiratory diseases, which lead to bronchial smooth muscle spasm. Ventolin for inhalation is a transparent liquid, rarer – light-yellow. The drug active ingredient is salbutamol, which suppresses bronchial reactivity and contributes to bronchospasm prevention or elimination. Auxiliary components contribute to most convenient salbutamol introduction and distribution in the body. oral and intravenous corticosteroids. These drugs, including prednisone and methylprednisolone, reduce airway inflammation caused by severe bronchial asthma. They can cause serious side effects at long-term reception, so they are used only for short-term treatment. 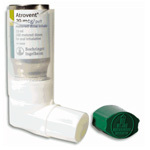 If you have an asthma attack, fast-acting inhaler will help you best. But at proper long-acting medications reception you will not often need such measures. 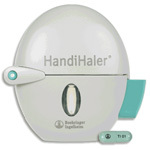 Do not forget to keep record of how many inhaler doses you use each week. If you started to use it too often, see your doctor for advice. You may need an additional means for preventing attacks. Spiriva is able to provide reliable support to patients with acute chronic obstructive pulmonary disease (COPD). The means has high efficiency, reduces dyspnea, particularly at elderly patients, and facilitates breathing process. The drug should appointed by pulmonologist after spirography test. Spiriva performs therapeutic and supportive function and prevents possible disease aggravations. The medication is also prescribed to patients with chronic bronchitis and people suffering from emphysema. Airomir is a bronchodilator. At therapeutic doses it has a strong stimulating effect on beta2-adrenergic receptors in bronchi, blood vessels and myometrium. Airomir for a long time inhibits release of histamine, leukotrienes, PgD2 and other biologically active substances from mast cells. It inhibits early and late bronchial reactivity. Has a pronounced bronchodilatory effect, preventing or arresting bronchospasm, reduces respiratory tract resistance, increases vital lung capacity. The drug has positive effect on mucociliary clearance, stimulates mucus secretion, activates ciliated epithelium function. Salbutamol is a drug that helps to relieve asthma attacks at bronchial asthma, and is used as a preventive measure against possible bronchospasm attacks. The reason for such attacks can be physical stress or exposure to allergens. 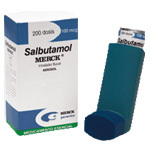 Salbutamol use contributes to bronchospasm relief at people with chronic obstructive pulmonary diseases. antihistamines. Among them there are well-known loratadine, difengiramin (diphenhydramine), chloropyramine (Suprastin), ketotifen and others. They are usually combined with other drugs for asthma treatment. Many of these drugs may be found in city pharmacies in any country. But if for some reason you can’t buy them at your locations, try visiting Asthma Inhalers Online website. 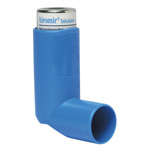 We provide a vide range of asthma medications and inhalers. 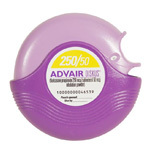 For example, you can buy albuterol inhalers online (Ventolin, Proventil) in our pharmacy at very attractive price and on affordable conditions. 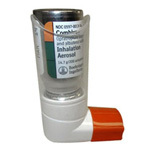 Asthma Inhalers Online provides best-quality medications and service for its clients to always satisfy their need. 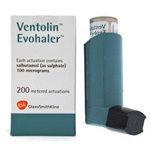 We offer to buy Ventolin and Proventil Inhaler at lowest price in the Internet, and we guarantee high-quality, fast and safe shipping and complete confidentiality. Visit our website right now and make sure yourself.